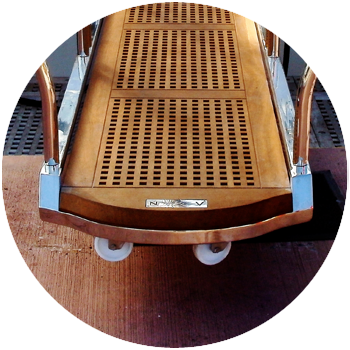 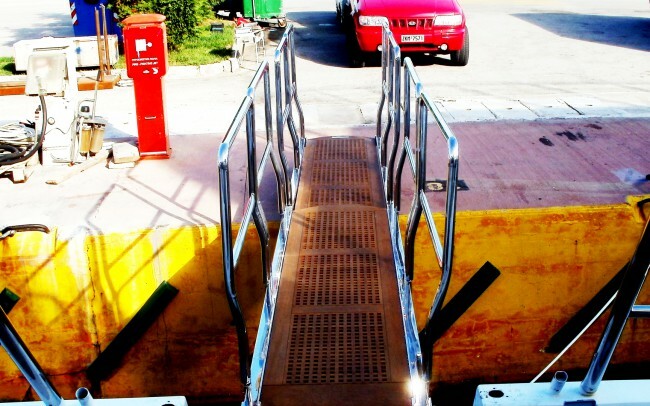 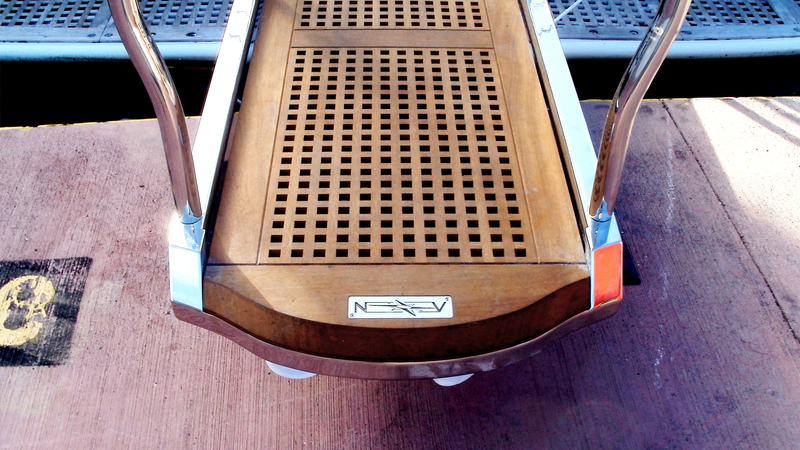 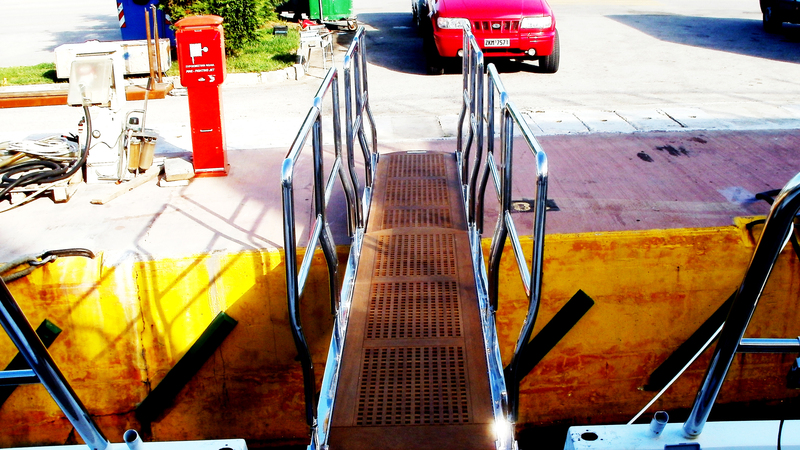 Revolving hydraulic gangway 5.5m made of stainless steel and teak. 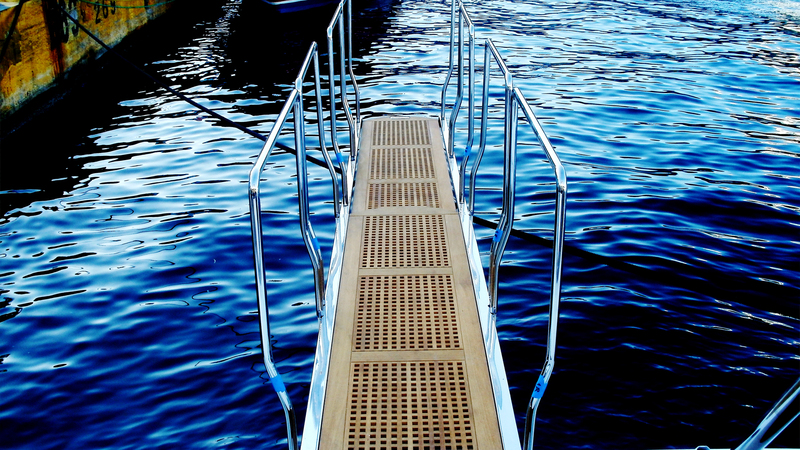 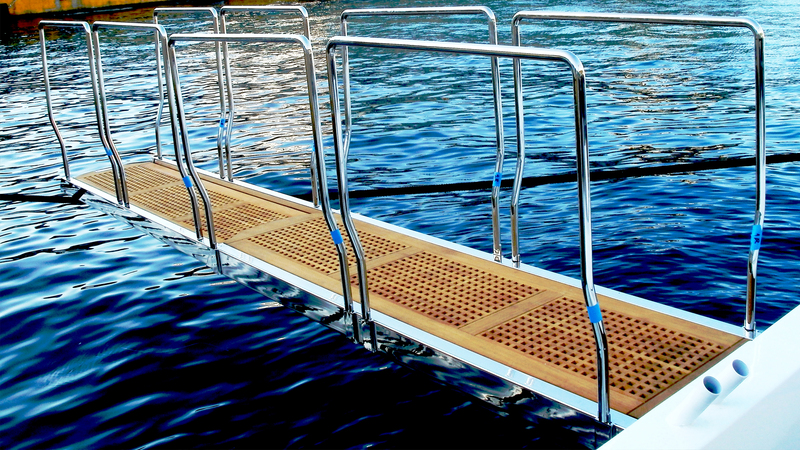 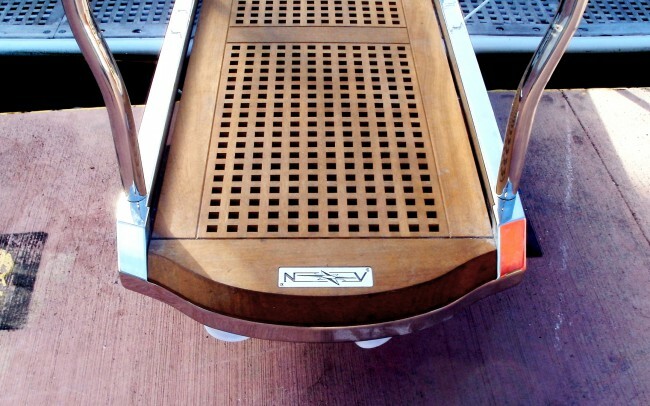 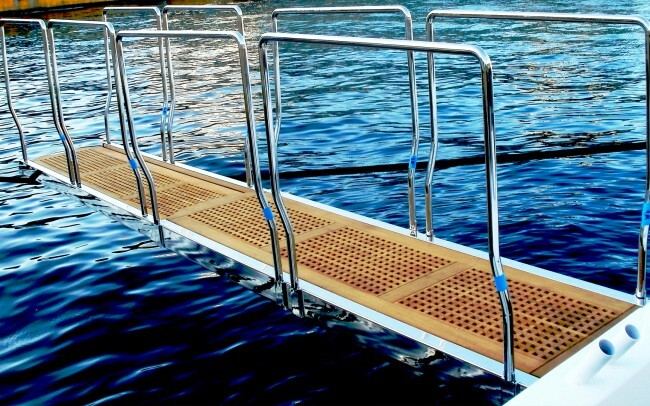 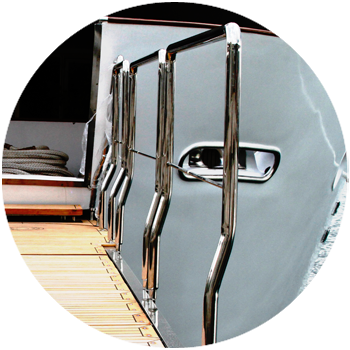 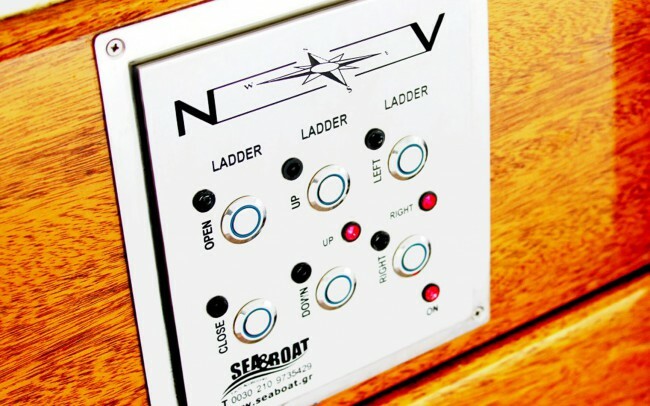 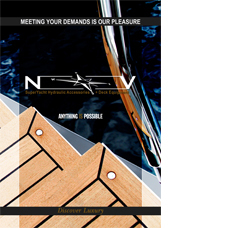 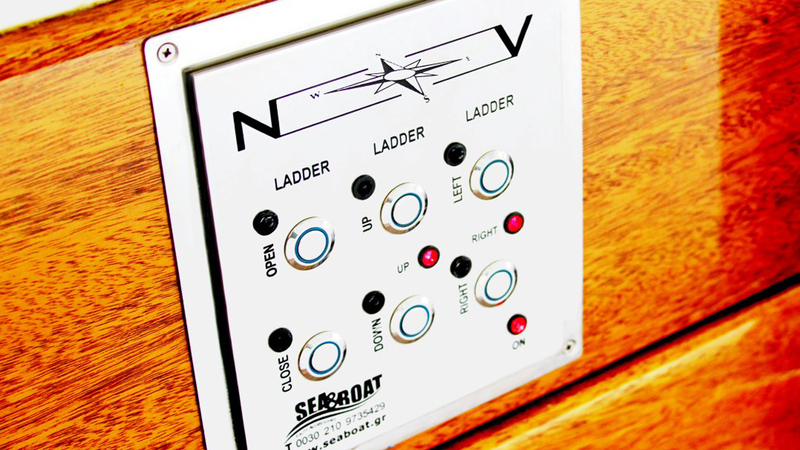 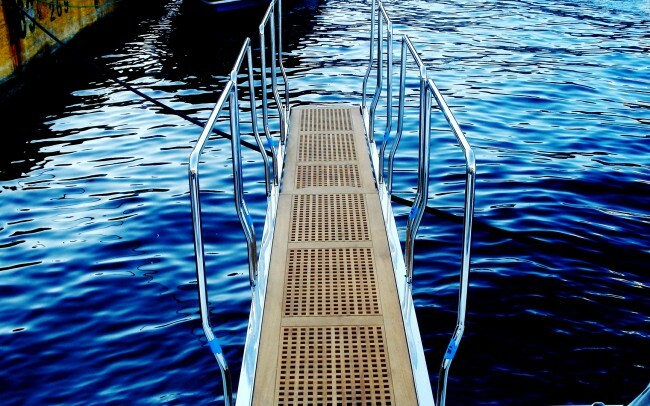 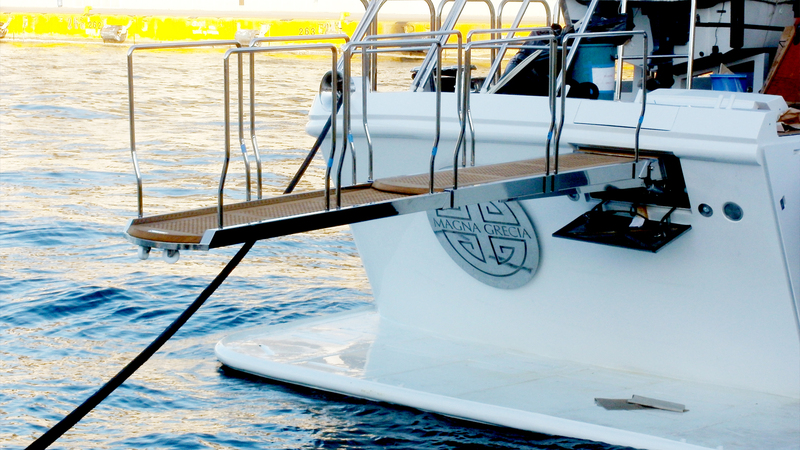 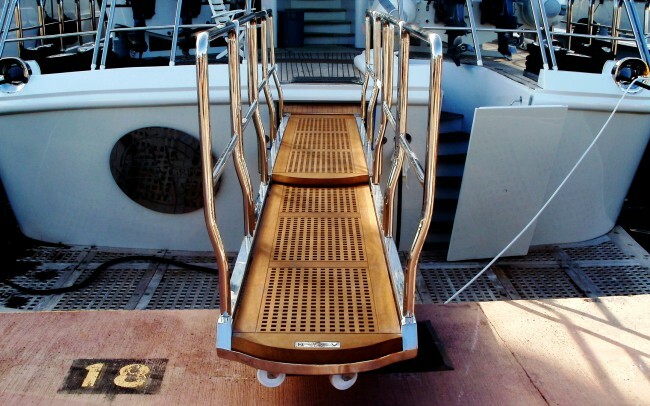 With special constructed railings designed to allow the full gangway’s width use and to suit with the yacht’s aesthetics. 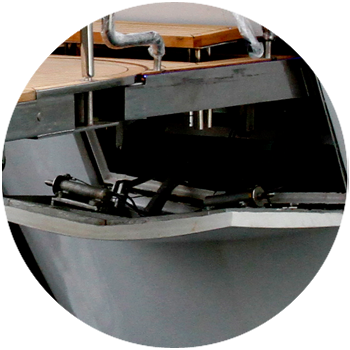 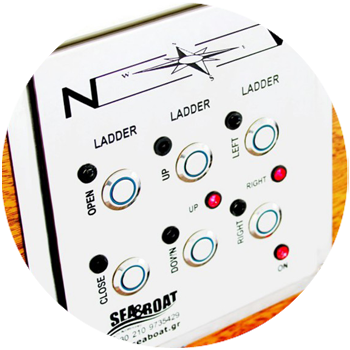 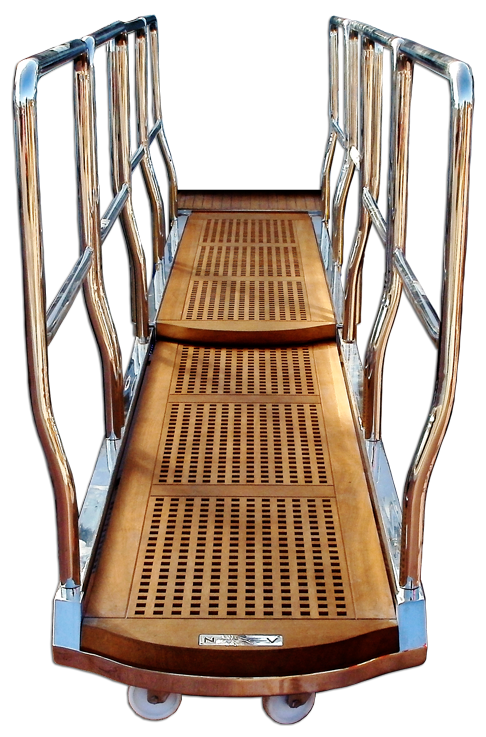 Automatic retraction with control sensors that ensure the correct alignment of the gangway and check the retracting phases in its housing. 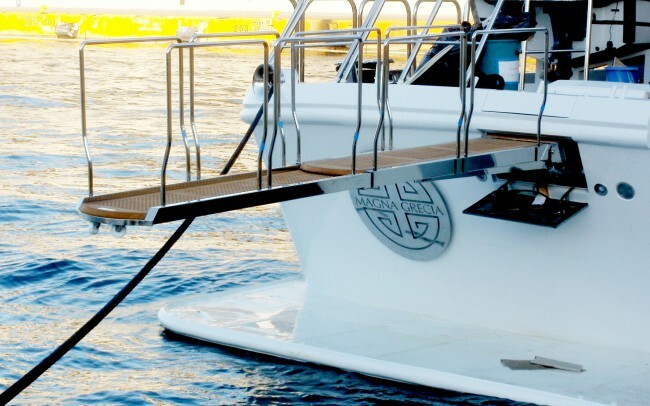 It’s Smart Trailer System minimizes the dimensions of the box and the yacht’s internal space needed for the installation. 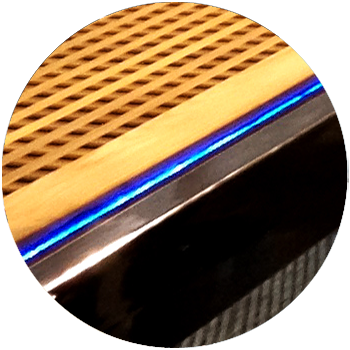 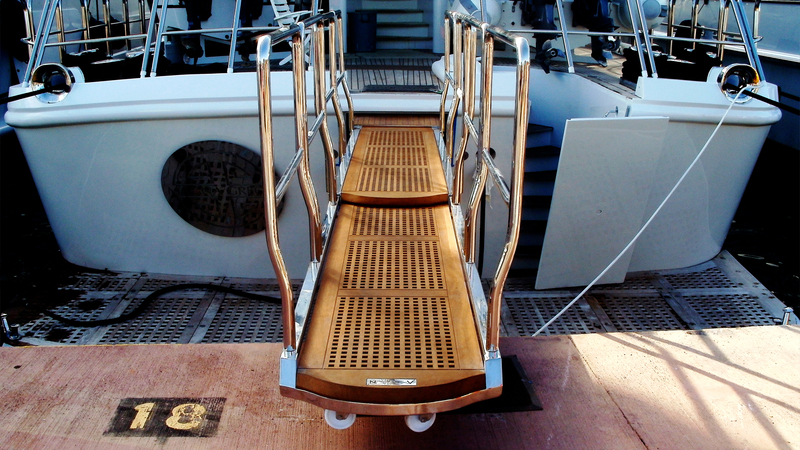 The gangway has the ability to rest on the dock, as it is disposed with rollers and latitude for up movement up to one meter.